Yes, even registered dietitians have cravings for salty, crunchy chips. 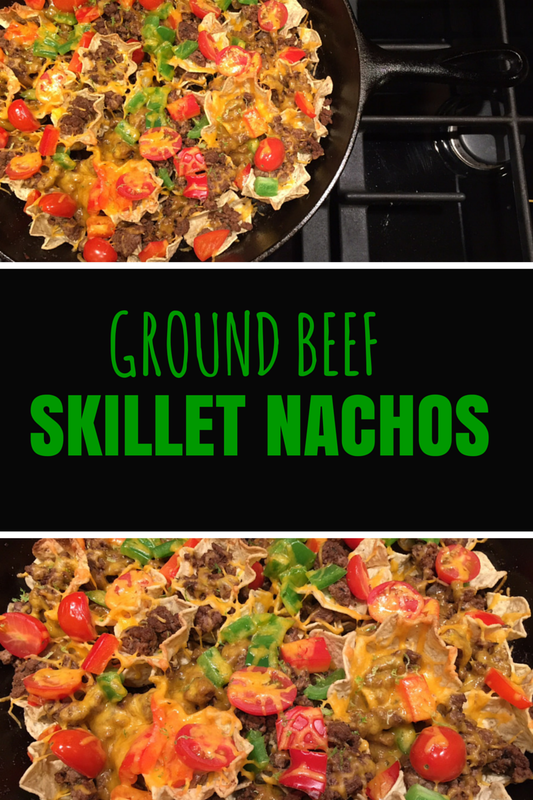 The best part about satisfying this craving with Ground Beef skillet nachos is that I could have my cake and eat it too: salty chips topped with protein-packed Ground Beef and fresh veggies! 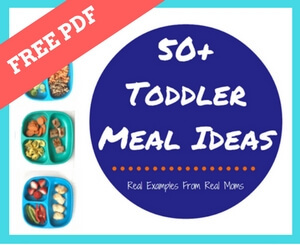 And you know if I’m raving about a recipe on this blog it’s gotta be toddler approved— the nachos, not the margarita!! Do you see how my mind keeps going back to margaritas?! It’s because I’m parenting small children. 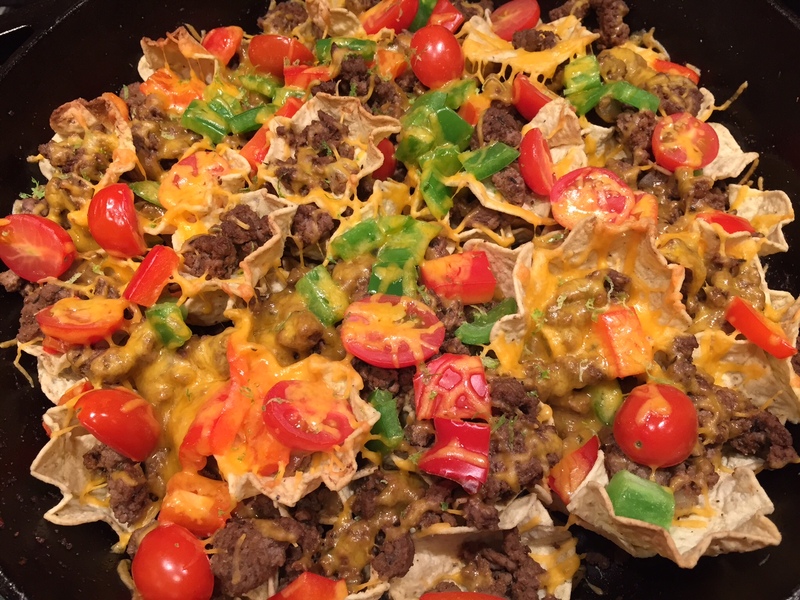 Nachos are an everything but the kitchen sink kind of meal. Get creative with your toppings! And if you DO NOT have a craving for salty chips, consider swapping the chips for something else: brown rice, quinoa, pita chips, potato wedges, etc. The case of characters for my recipe included oven baked chips and my FAVORITE store bought salsa, Garden Fresh. It’s a Michigan-made product that only uses FRESH ingredients. Hence the brand name! I opted for store bought salsa and used a homemade taco seasoning. Heat a large skillet over medium-heat. Add Ground Beef and cook for about 10 minutes, breaking the beef into crumbles. Remove drippings. Add the onion and taco seasoning. Stir to combine. Cook for an additional 5 minutes. Remove the Ground Beef mixture from the skillet. Add the tortilla chips to the skillet. Top with the Ground Beef Mixture, then the shredded cheese. Place the skillet in the oven and bake for 10-15 minutes, or until the cheese is melted. Remove from the oven and serve with the toppings of your choice! 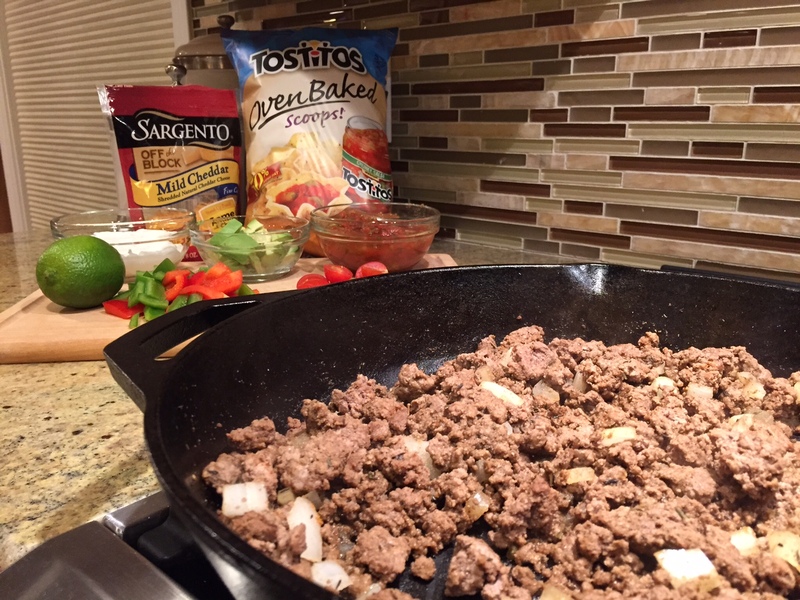 If you have a Mexican-food night every week, what’s your go-to recipe? Would you consider adding nachos?! 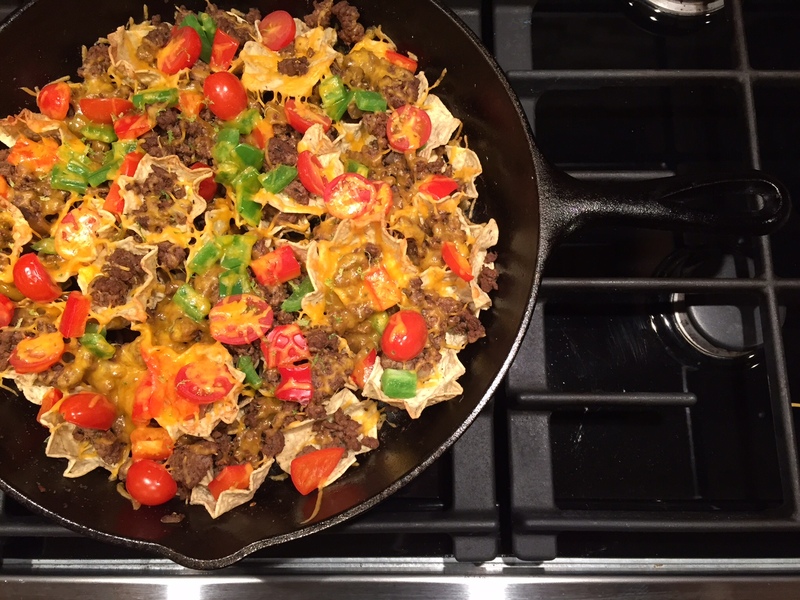 Well then, it looks like skillet nachos are what’s for dinner! I took ground beef out of the freezer last night and was considering making meatloaf. But this sounds WAY better!! I would eat that RIGHT out of the pan!! !